Simple DIY Wet Wipes that are not only convenient, but eco-friendly? They can be made! No more paper towels. Save money. Save time. Pour some castile soap into your jar or container (a few teaspoons or so). You can add more or less depending on how sudsy you’d like it. Fill about 3/4 full of water. Put a bunch of rags or recycled t-shirts in the jar and add more water to cover as necessary. 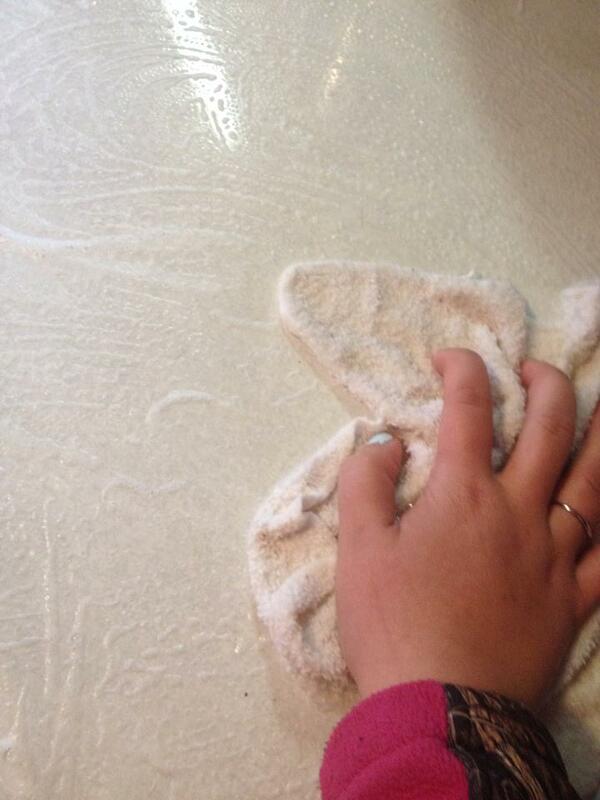 Now you can wipe up spills quickly and wash the rest of the counter, or other surface, at the same time! I love it and it works very well for our farm kitchen. Here’s a picture of how sudsy our counter became once I grabbed a wet cloth, gently squeezed out the excess liquid, and wiped down the counter. If you use up all of your wet wipes, don’t empty out the jar of soapy water. Re-use it by adding more clean cloths to the mixture and adding more water or soap when needed. Very frugal! You can always add a few drops of essential oils to the soapy water and stir it in for a wonderful smell, or extra cleaning power. 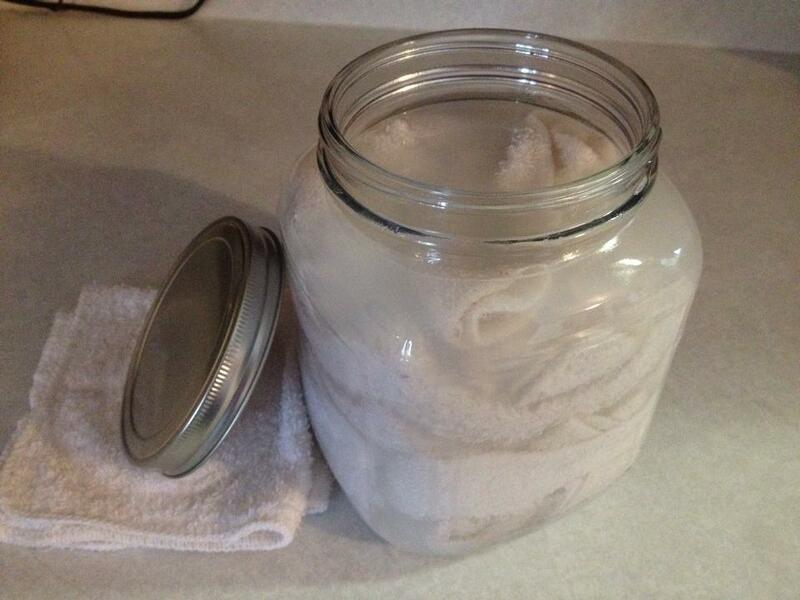 Just toss the cloth into the laundry once it’s used and return it to the jar once cleaned. Enjoy! P.S. If you use concentrated liquid castile soap, such as Dr. Bronner’s, you won’t need to use quite so much. Start with a little bit and if it’s not enough, then you can always add some more. Have you tried my wet wipe recipe?